So its that time again... Glossy box time!!! 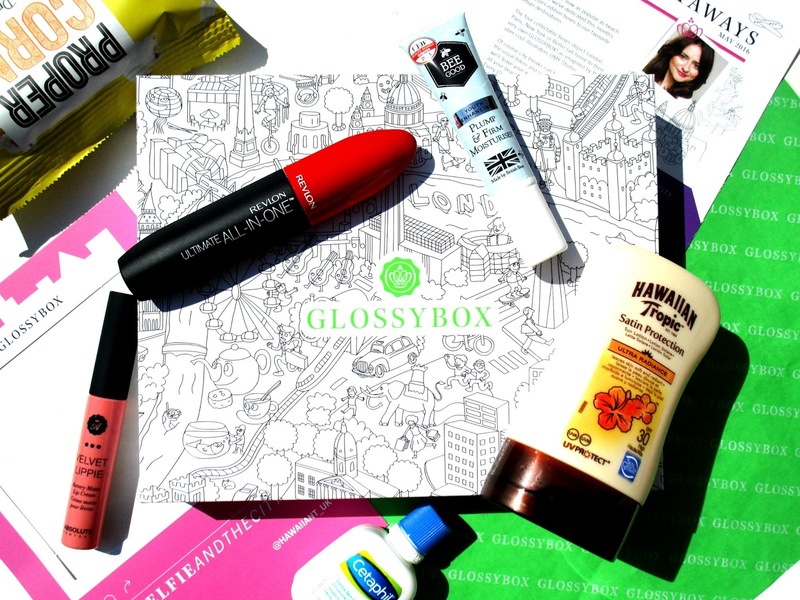 This month we have the 'Glossy Getaways' box, a theme that provides us with must have beauty products for any of us jetting off on holiday this season! I'm actually quite disappointed with this months box, yet again it feels slightly lack luster as theres only two full size products in the box and the other three products are samples which really is pants! I've actually been considering changing beauty boxes for a while now and finally last night I did un-subscribe to Glossybox, so this will be my last Glossybox review for a while unfortunately! Anyway onto the contense of this months box! 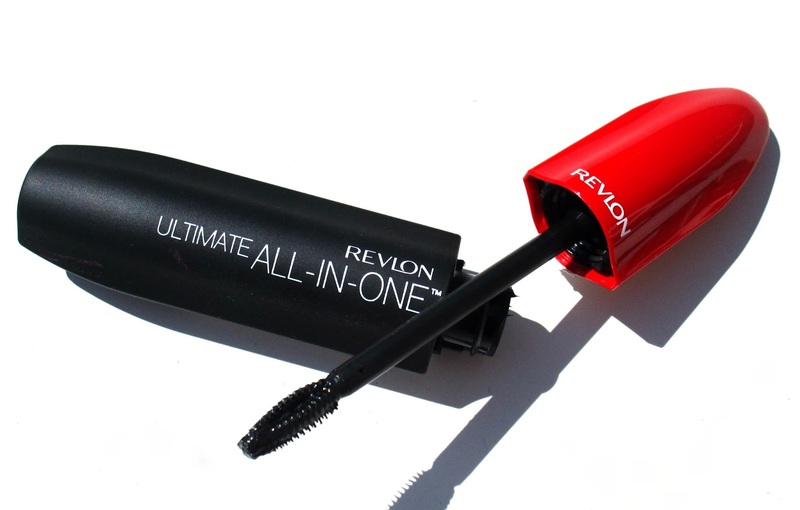 Firstly this month I have the Revlon Ultimate All In One Mascara. In March Glossybox told us that we would all be getting a Revlon Mascara inside our May box and that we would have full control over choosing which type of mascara we could have, with all of Revlon's new mascaras to choose from, as I mentioned before I opted for the All In One mascara basically because it would be a good all rounder! This mascara claims to give volume , length , definition , lift and intense colour so I'm really looking forward to putting this to the test! My second and final full size product in this months box is the Absolute New York Velvet Lippie in the shade Rumba which is a very summery peachy-coral shade! 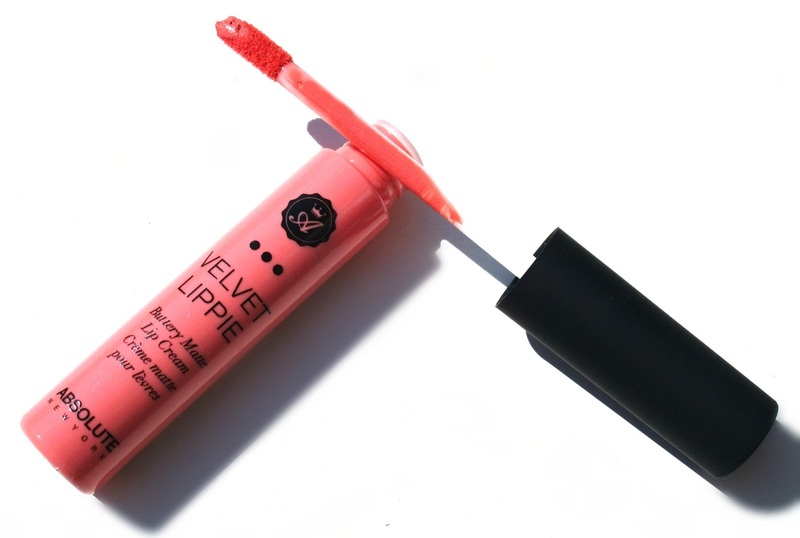 Velvet lip creams and liquid lipsticks are huge at the moment so I'll definitely be giving this a whirl! 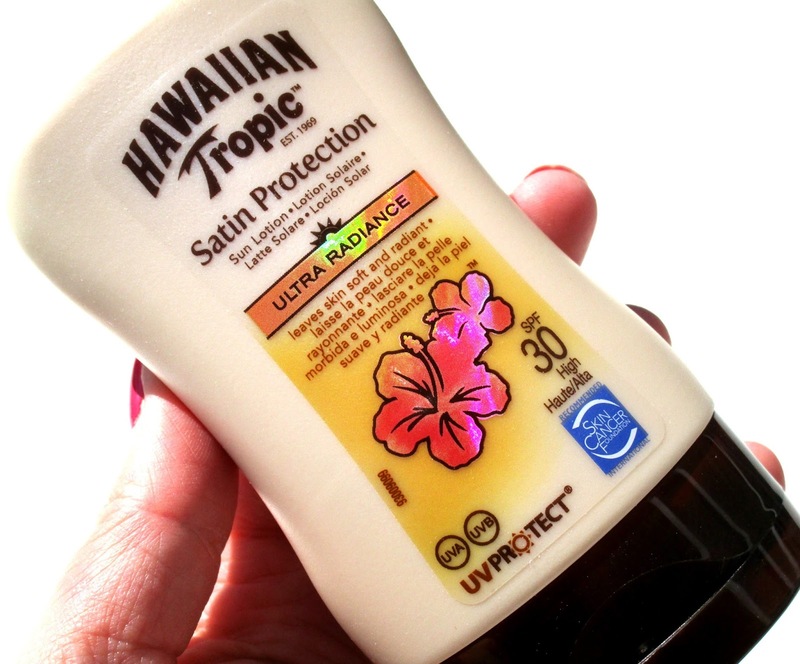 The first of the three samples I got this month is the Hawaiian Tropic Satin Protection SPF 30! This would have actually came in handy last weekend when we had a mini heatwave in the UK as it was super hot a sunny where I live, hopefully we get more nice weather so I can actually use this then! 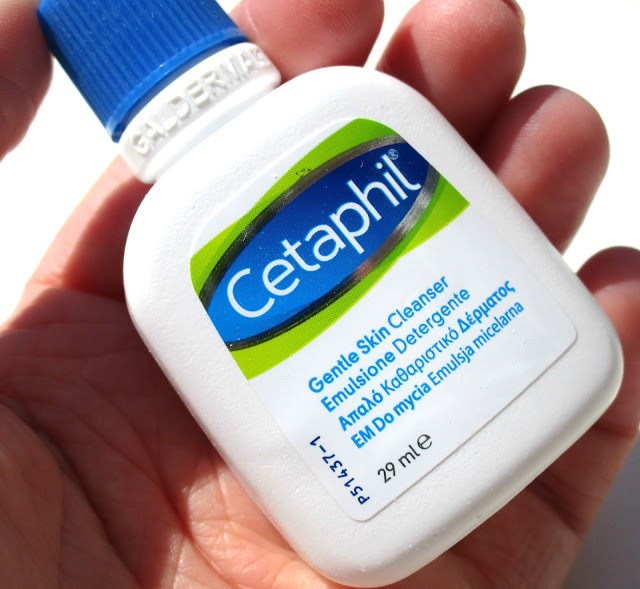 Next up is a sample of the Cetaphil Gentle Cleanser, this soap free cleanser is said to be hugely popular because not only is it suitable for all skin types, even the most sensitive like mine but it also soothes and nourishes the skin as well as removing all traces of makeup! All you have to do is massage into the skin and remove with a tissue, however I think I will be using my muslin cloth when I give this a whirl! 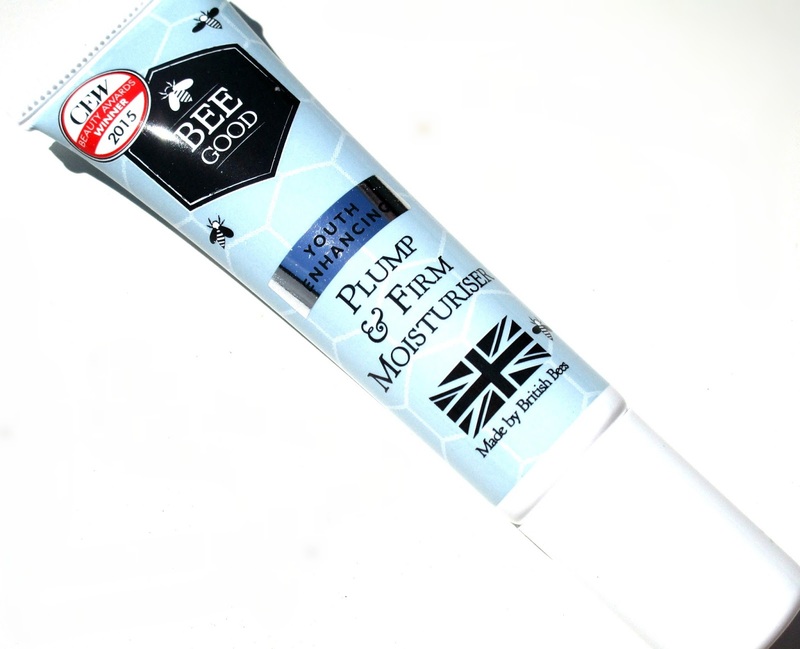 Lastly this month I have a small sample of the Be Good Youth Enhancing Plump & Firm Moisturiser! I'm actually pretty excited to try this because it sounds amazing, it's a nourishing moisturiser that claims to plump, smooth and soften the complexion whilst also leaving the skin dewy, glowy and illuminated which sounds right up my street because I adore dewy, glowing skin! There was also a small bag of popcorn in my box this month for some reason, I have no idea what is it in the box for because there is no information on it on the little card menu that we get but hey ho, popcorn all round! 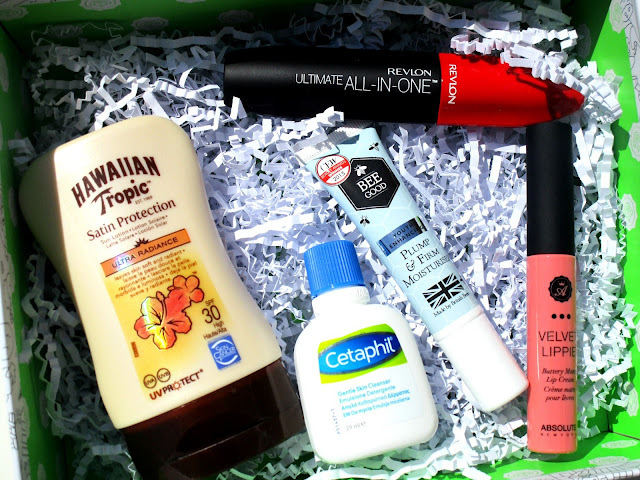 What did you think of this month's box beaut's? I'd love to know. I cancelled all of my beauty box subscriptions earlier in the year as I was getting far too many products that I didn't use. I think the mascara is fab and the popcorn a nice touch but so many sample sized products is a little off putting! I need to try this box asap, that lippie is gorgeous! 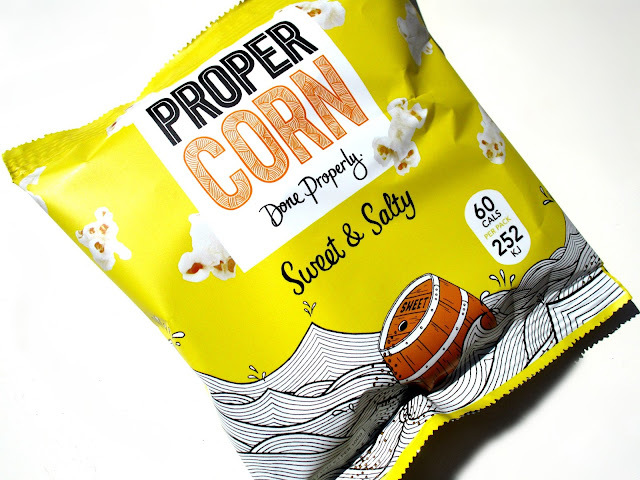 Ooh quiet good products this month! I fancy trying out that mascacra ! I would have loved that box! May have to go and sign up now haha!